It’s incredibly frustrating. You don’t know what your dog is up to, whether it’s good or bad, and whether or not you need to step in and stop them. The good thing is you’re not alone. It’s incredibly common for people to misread their dog’s behavior, but the great news is that it’s actually much easier to understand dog body language than you ever realized! Knowing if your dog is happy or distressed can make all the difference in how well your dog socializes. There are actually many many signs — they’re just not commonly known. As soon as you’ve learned these tell-tale signs things become much clearer. While watching your dog now probably feels a bit like watching a foreign film, once you’ve learned how to read your dog’s behavior it becomes as clear as watching a movie in English! Dogs can read each other without much effort at all. It comes naturally to them, but we of course are not born with those same gifts. To really gain an understanding of your dog and take control of your behavior, especially if they’re a dominant dog, you must understand their body language. If your dog… places their head over the back of another dog’s neck they are asserting their dominance over the other dog. This isn’t necessarily good or bad on its own, but it can be trouble since many dogs will challenge your dog if they are not willing to be subservient. If your dog… keeps returning again and again to play with another dog who is acting dominant, then they are excited and happy to play with the dog. This is important because sometimes we may want to pull our dog away if they seem like they are being dominated, when actually they are happy in the subservient role. If your dog… lifts one paw in the air and stands still on three legs they are showing that they are submissive and not a threat. How other dogs will react to this behavior will depend on the other dog, but generally you should see this as a good sign. If your dog… has the hair on its back rise up they are not necessarily being aggressive as most people will think. Sometimes it’s nothing more than regular excitement. They’re alert, but it may just be because they’re having such a fun time playing with other dogs. Stay calm and watch them carefully. If your dog… is spinning in circles this is almost always a sign that your dog is very happy and would like to play. When a dog turns their back to you or another dog it shows they are relaxed and not the least bit scared. Dan is an excellent trainer and has probably forgotten more about dog training than most will ever know. 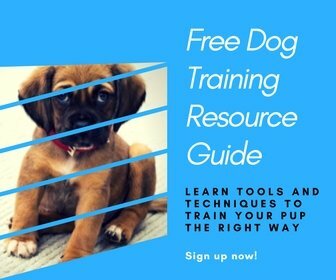 If you really want to understand what makes your dog tick and how to guide their behavior, he has an excellent free video series I’d recommend checking out. Hopefully, this has given you a little better picture of what your dog means when they make certain movements. To really master things, go take a look at Doggy Dan’s site and he’ll show you everything you need to know!